I've discussed Led Zeppelin just about as much as I possibly could in my Worst to First list. However, there's the matter the reissues with all of the snazzy bonus tracks to discuss. Thanks to car payments and too many expenditures made on anime, I really haven't had much of a chance to pick up any of the Zeppelin reissues. Until today. There are few albums I'm willing to buy a second time. This is my second time getting Led Zeppelin's famed debut on CD, but it's never sounded so good to me. Of course the real treat for me is the second disc, a concert from 1969 in Paris that I had never heard before. This concert has the shortest live version of Dazed and Confused I've ever heard. Only fifteen minutes? Man, what a breeze that performance was. It's like you blink and it's over. Of course, that really is true for their performance of Heartbreaker, a song reduced to not even four minutes. 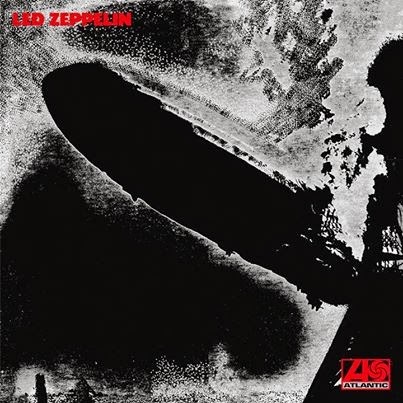 While I don't think live show is anywhere near as good How the West Was Won (the definitive live Zep album for me), I do think it is much more honest than The Song Remains the Same. Definitely more raw, too. Of course, there's a reason this is a bonus disc and not a standalone liveset. It just isn't strong enough, given the uneven live sound and the shortness of the set. However, they certainly do feel very live. You could close your eyes and pretend to be right there in the midst of the action. I'm sure previous bootleg versions of the show were much worse and this version is definitely not bootleg quality. Plus this was 1969, too. Pretty darn good for its age. I really liked the performance of White Summer/Black Mountain Side. That's one of those you don't hear too often live compared to other Zeppelin songs. It's a welcome refresher from the ten minute renditions of Stairway to Heaven that would occur on later live releases. I'll be getting the other reissues before too long. I just have to figure out what to do with my old ones. First, the sound on the original cd is excellent. My previous version was the box set remasters they did in the 90s and I always thought that they sounded good but this new remaster is a big improvement over the 90s versions. I'm no cd engineer so I don't know what goes on with this process but it seems to me that the technology is allowing a warmer sound than it used to with digital remasters (when they are done right). I usually listen for the sound of the drums to guage how good a digital recording is. Seems to me, the drums really lose the most digitally. On the bad digital recordings, the drums sound like someone banging drumsticks on your kitchen counter. Everything sounds great on these first three original disc re-issues - no one is playing drums in the kitchen here. I think I told you about the concert disc a while back. This sounds much better than the bootleg I had on this show. It really is amazing how good it sounds considering the recording circumstances. I only bought the bonus version of Led Zeppelin I. I will get the others one of these days but I think they are mostly unpolished versions of what showed up on the albums. I bought these 3 albums from HD Tracks which sell dvd audio quality recordings (less compressed than cds). These are about twice as expensive so I skipped the bonus track versions of II and III. What is weird about the bonus tracks on III is that there is no Hey Hey What Can I Say on it. That was the b-side of the Immigrant Song single and a huge radio hit back in the day. I don't know if you've ever heard it or not but it used to be played on the radio all the time. Maybe it's going to show up on a remastered version of Coda.